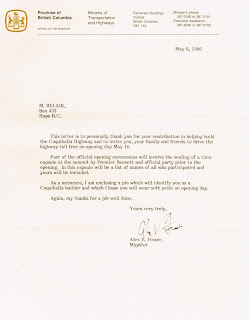 In early May 1986, Dad received a letter from the Ministry of Transportation and Highways (MOTH) to thank him for his “contribution in helping build the Coquihalla Highway”. 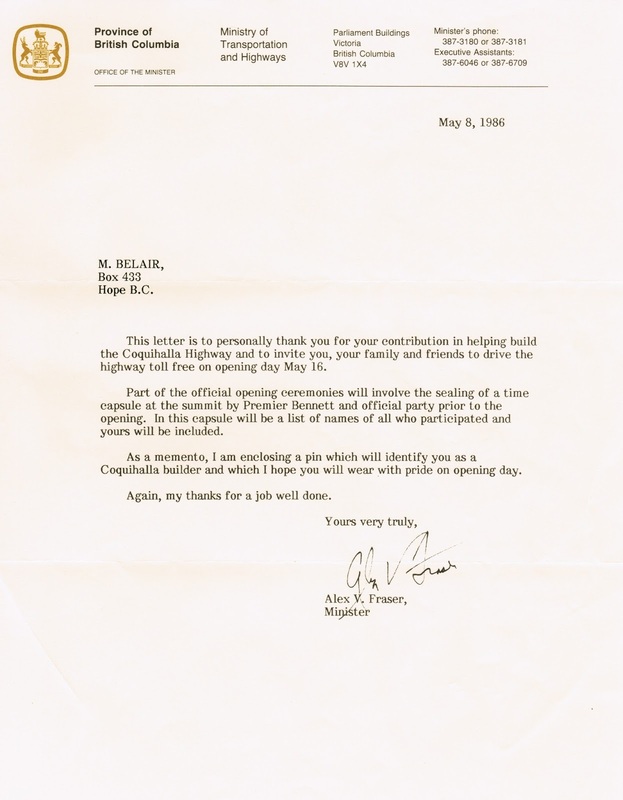 We still have the letter, but the pin seems to be missing. 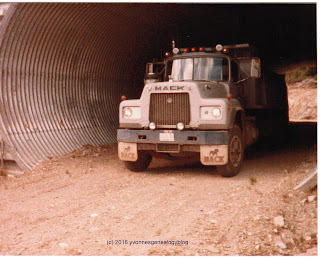 I know that I didn’t attend the official opening on 16 May 1986, but I can’t remember if Dad did. 1. 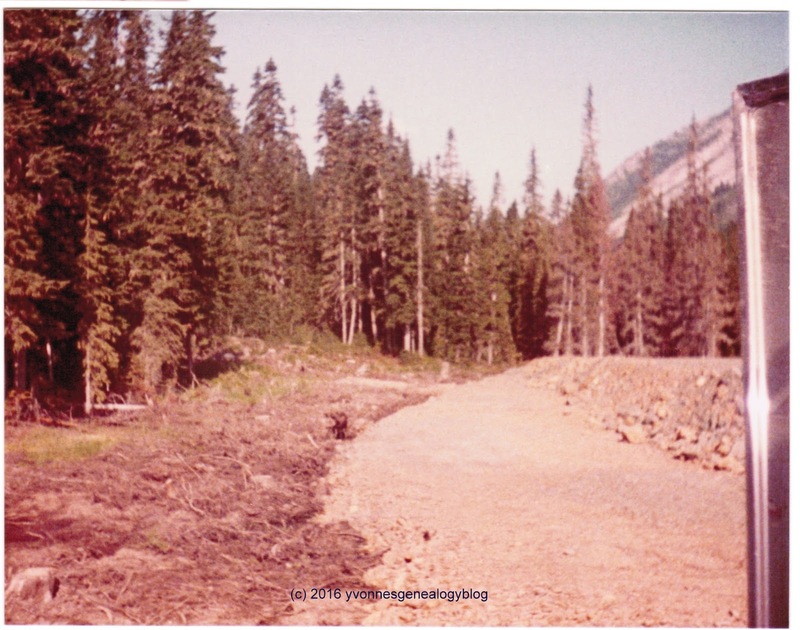 “Coquihalla: more than just a new highway”, The Hope (British Columbia) Standard, 14 May 1986, p. 4. 2. “Paving starts in spring”, The Hope (British Columbia) Standard, 8 January 1986, p. 3. 3. “Paving starts in spring”, The Hope Standard, 8 January 1986. Copyright (c) 2016, Yvonne Demoskoff.